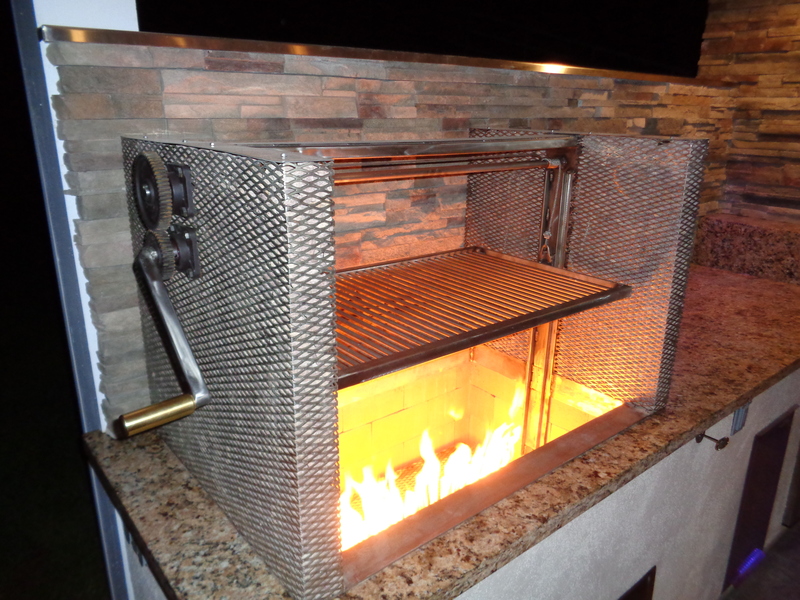 Features Fabricated Stainless Steel Expanded Metal Panels around the grill filled with lava rock. 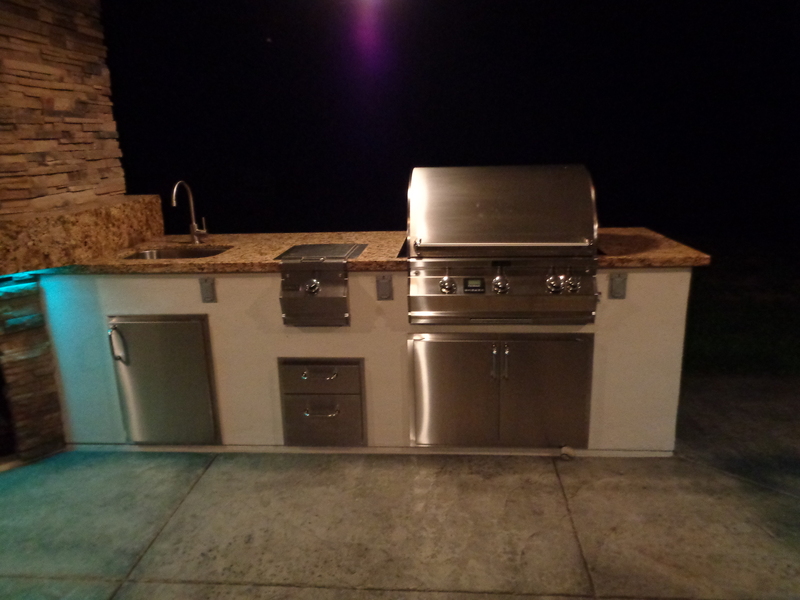 Machined parts, gears, with stainless steel grill grates and hardware. 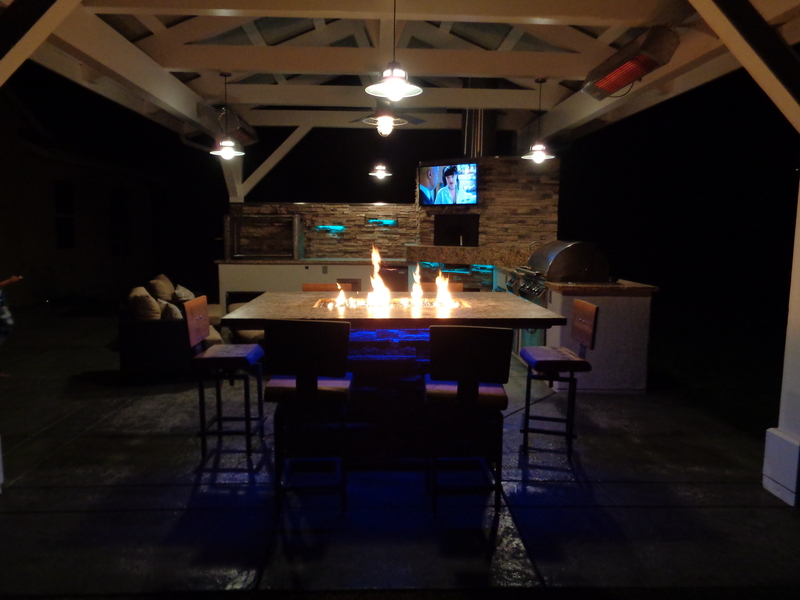 This Custom Outdoor Kitchen features Fire Magic Appliances, a Custom Santa Maria Grill and Industrial Swivel Bar Stools built by Leasure Concepts. 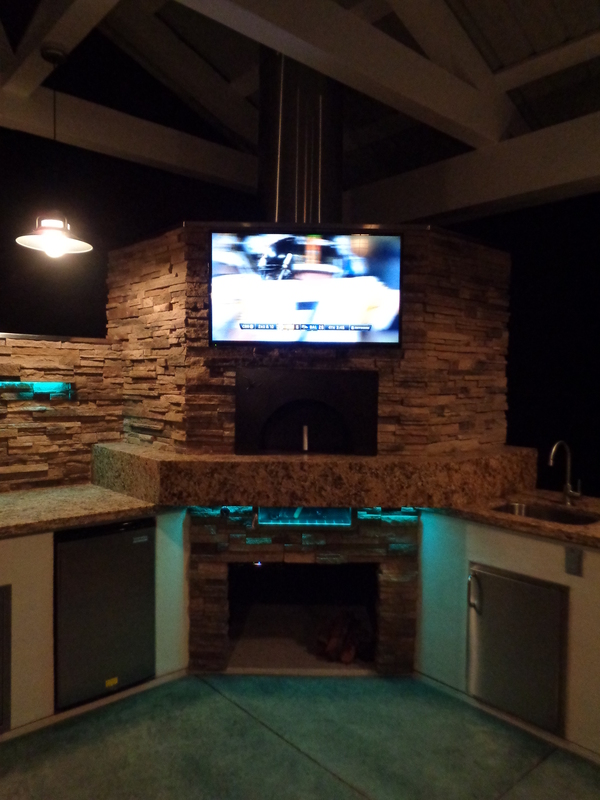 The Pizza Oven is an LC Oven Designs 36″ Modular Pizza Oven Kit built into a custom structure w/ TV mount above oven. 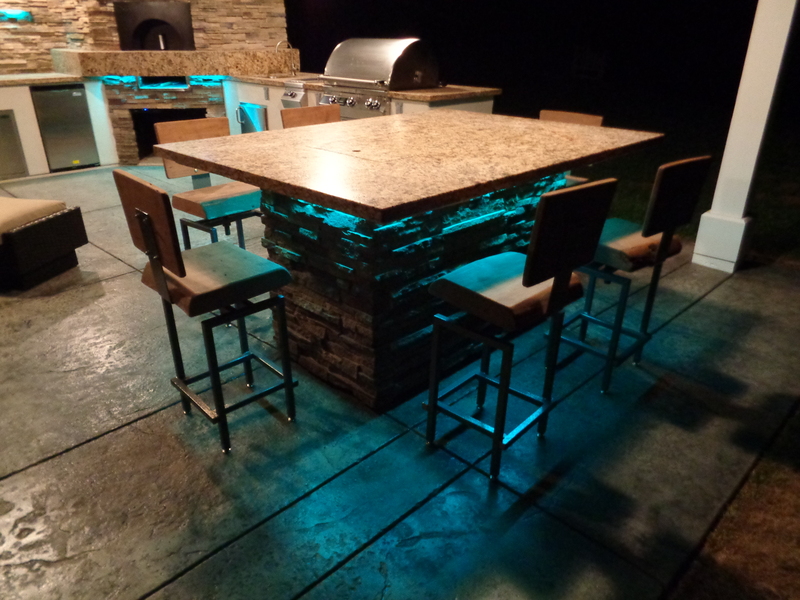 The outdoor kitchen counter tops featured Ouro Brasil Leathered Granite fabricated by Natural Stone Source. 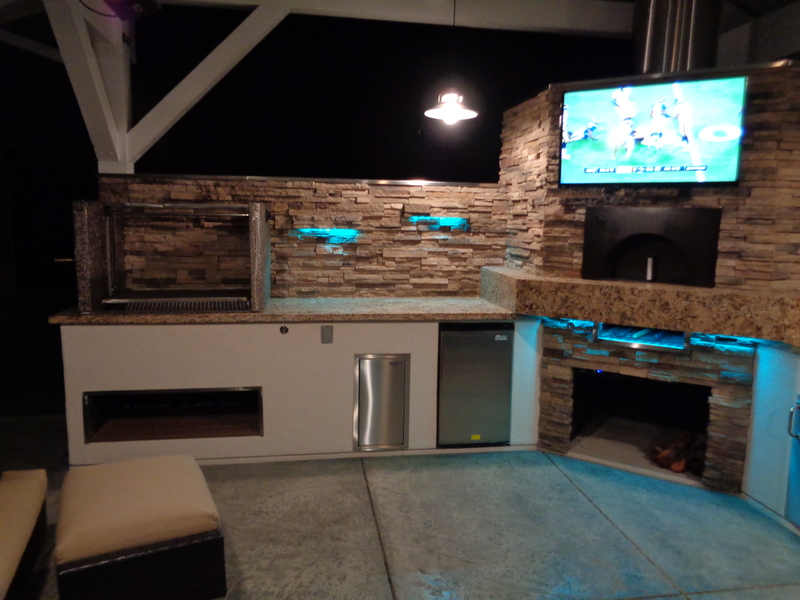 The exterior of the cabinetry featured Culture Stone Veneer with Stucco Finishes. 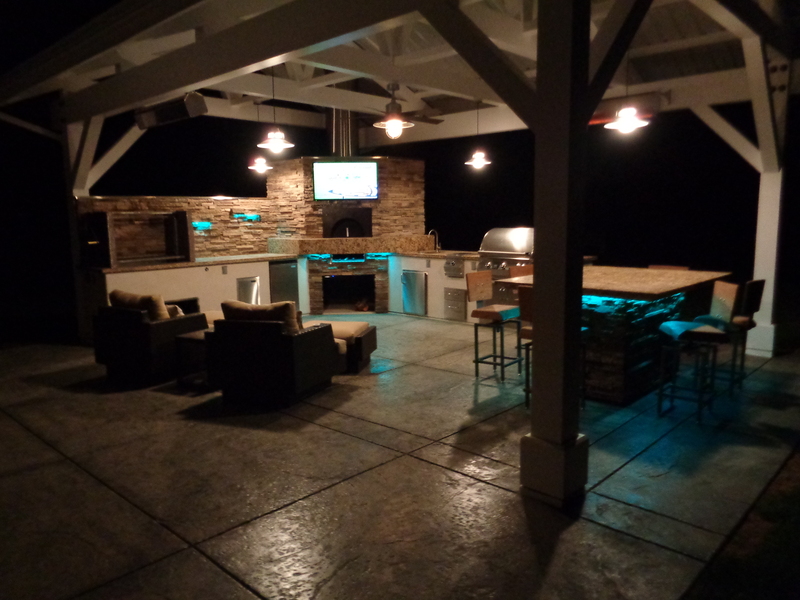 Color Changing LED lights were placed throughout the area. 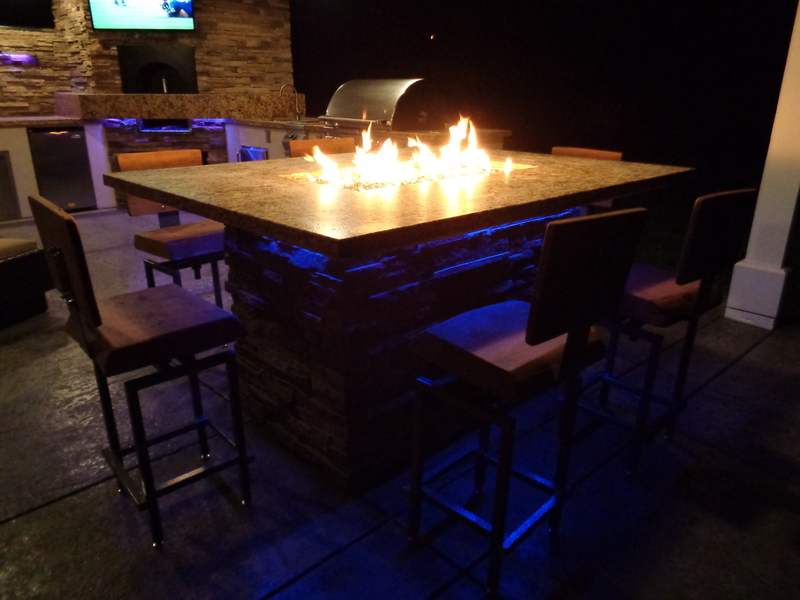 These custom stools feature a powder coated steel frame. A solid 3″ thick Cypress seat and 1″ back. 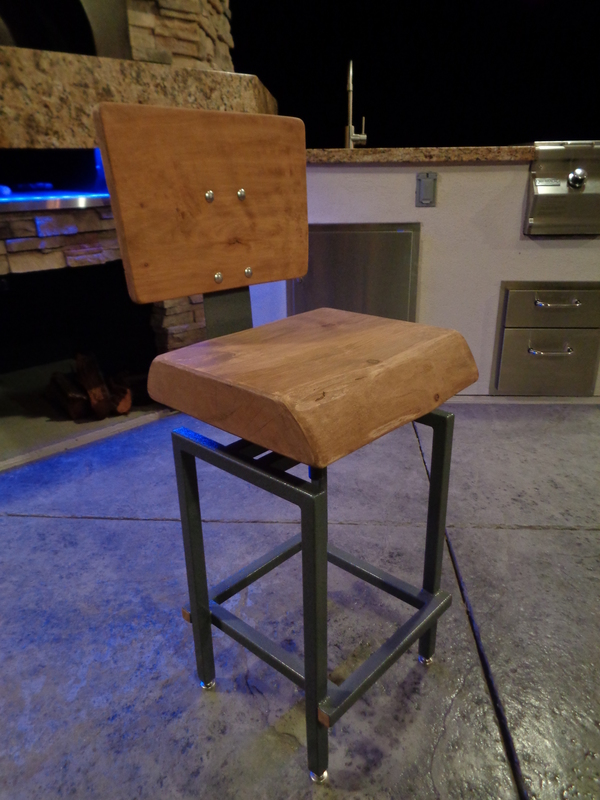 The seat has a 6″ height adjustment along with adjustable feet.